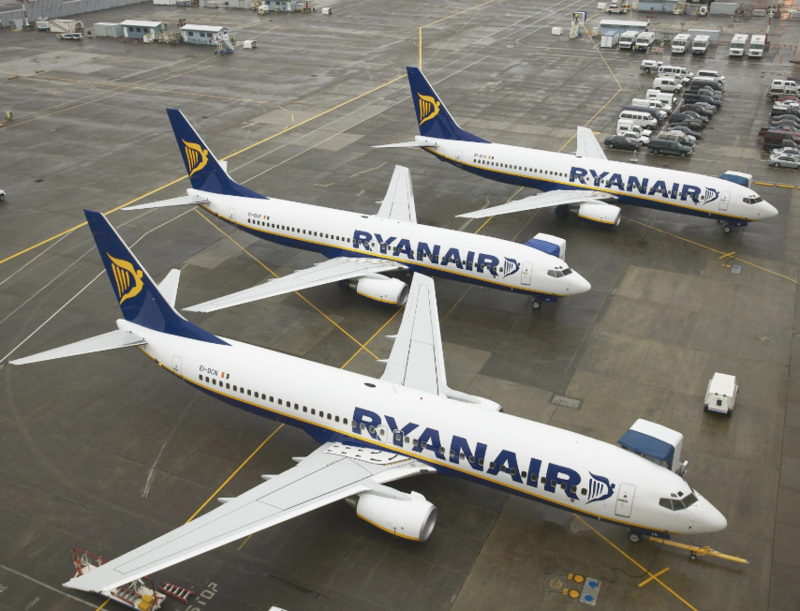 Ryanair is set to come to blows with the Civil Aviation Authority after saying it will not pay compensation to passengers impacted by ongoing strikes by pilots and cabin crew. Hundreds of flights have been cancelled this week as crew in Belgium, Spain and Portugal walked out, affecting more than 100,000 customers. Additional industrial action is being taken by Irish pilots, who are planning a fourth day of action next month. But Ryanair is insisting the strikes by cabin crew don't fall under EU rules. A Ryanair spokesperson said: "Ryanair fully complies with all EU261 legislation, however as these flight cancellations were caused by extraordinary circumstances, no compensation is due. "Under EU261 legislation, no compensation is payable when the union is acting unreasonably and totally beyond the airline's control." But the CAA said passengers have the right to seek compensation under EU legislation as Ryanair did not give enough notice. An earlier statement said: "Passengers have the right to seek compensation under EU legislation when flights are delayed by three hours or more, cancelled or when they are denied boarding. ........ BAD news for pax who insist on flying with the UK's worst airline. how dumb are the CAA ? or are they in bed with the likes of BA ? Ryanair's position is inconsistent with their position on the French Air Traffic Control strikes and their view that they should be compensated for those. It seems likely that EU law should support compensation in both cases or neither. Ryanair might be better off to concede this battle to strengthen its position on the other battle.